Goodreads Summary: Nothing ever happens in Norway. But at least Ellie knows what to expect when she visits her grandmother: a tranquil fishing village and long, slow summer days. And maybe she’ll finally get out from under the shadow of her way-too-perfect big brother, Graham, while she’s there. What Ellie doesn’t anticipate is Graham’s infuriating best friend, Tuck, tagging along for the trip. Nor did she imagine boys going missing amid rumors of impossible kidnappings. Least of all does she expect something powerful and ancient to awaken in her and that strange whispers would urge Ellie to claim her place among mythological warriors. Instead of peace and quiet, there’s suddenly there’s a lot for a girl from L.A. to handle on a summer sojourn in Norway! And when Graham vanishes, it’s up to Ellie—and the ever-sarcastic, if undeniably alluring Tuck—to uncover the truth about all the disappearances and thwart the nefarious plan behind them. Goodreads Summary: "Love is just the beginning... of the end." Mason Starling is a champion fencer for Gosforth Academy, but she’s never had to fight for her life. Until now. When a ferocious storm rips through Manhattan and unleashes terrifying creatures onto Gosforth’s campus, Mason barely escapes alive. Without help from the mysterious stranger who appeared in the midst of the storm, she might not have made it at all. But now, in the aftermath, Mason’s life begins to spin dramatically, mystically out of control, and the only one who seems able to help her is the stranger who can remember nothing but his name: Fennrys Wolf. Why am I waiting on Valkyrie Rising and Starling? There are not nearly enough YA books with Norse mythology and along with the fantastic cover, Valkyrie Rising looks like a winner. When I read the description of Starling and saw that Lesley Livingston is bringing Fennrys back, I did a little sqee! He was one of my favorite characters from the Wondrous Strange books and I’m thrilled he will be featured in another series. 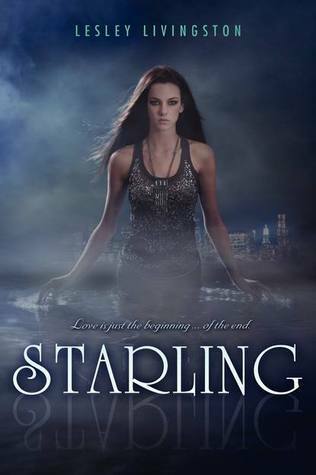 Plus, Starling includes some Norse mythology as well and I love myth. What books are you waiting on? I am adding both of these to my TBR List. They look awesome! Very interesting choices. I've seen Starling around, but I hadn't heard of the other one. They sound like action-packed adventure, for sure. Nice picks! 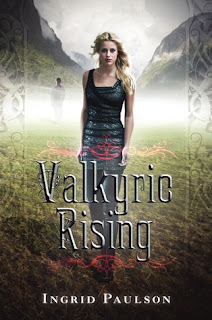 I've never heard of these but the cover to Valkyrie Rising is awesome! I like the sound of both of these! Especially the first one. And you're right, there aren't enough YA novels about Norse mythology. I'd love to see more about mythology period because mythology was one of the things that really hooked me on reading when I was younger. Ooo, I can't wait for either of these! And I loooooove the covers for both! :) Awesome picks! OoOoO I can't freaking wait for both books either! I mean Valkyrie Raising simply sounds like nothing else out there so I'm looking forward to it! Both books sound really cool. Here's my WoW! harper always has the best covers and books!!!! 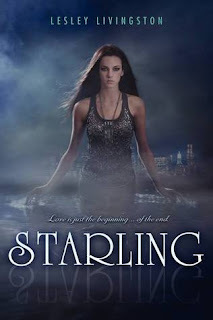 Adding both of these to my TBR list and I'm adding Starling to my "buy the daughter" list since it has a fencer in it. Oh these look awesome! I am reading American Gods right now (not YA) but there is tons of Norse mythology in it and I'm loving it so much. Of course, I'm a huge mythology sucker anyway. I'll be adding these to my list. Thanks!! I love the Wondrous Strange books-definitely my favorite faerie books. I can't wait to find out what Livingston has in store for us!